Jim Murray’s Chimney Service is a locally owned and operated chimney repair company that has been serving Delaware County, PA and Main Line, PA for over 25 years. 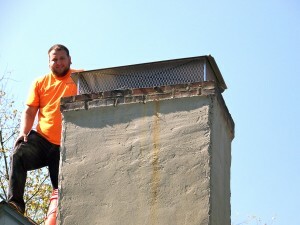 If your looking for a reasonable chimney repair service in Delaware County and Main Line PA, Let our quality workmanship and orderly service speak for itself. Over time, moisture, cold weather, ice, snow, heat, and wind will deteriorate the masonry around your chimney. The chimneys position above the roof line makes it the most exposed area of your home and is therefore, the most susceptible to damage. Additionally, other problems with the chimney such as old / deteriorated lining will cause damage from the inside out and compromise your brick and masonry work. Jim Murray’s Chimney Service has over 25 years experience of chimney repair and has professional masons on staff to repair any masonry, stone or brick re-pointing your chimney may need. All of our masonry work is done by professionals on our staff and this allows you to communicate with the individual repairing your chimney. 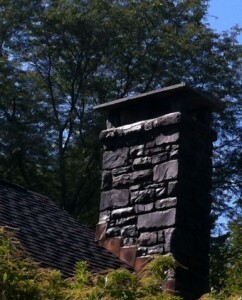 This gives you the most informed judgement on how you would like to have your chimney repaired. If you’re in need of chimney repair in Delaware County or Main Line PA, do not hesitate to give us a call to setup an appointment with one of our masons today.